Create the perfect bright and living dramatic entrance-way, or grow flowers and vegetables on your balcony or deck; The Windsor Long Planter box is a great choice for both. 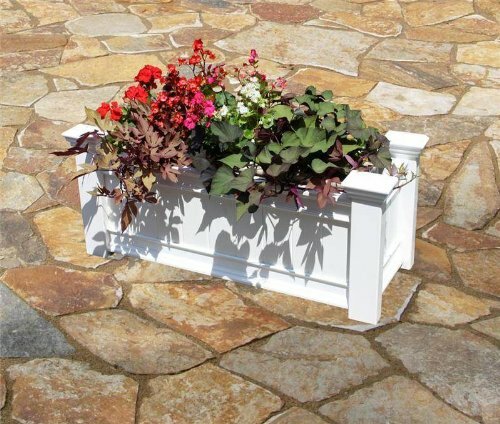 Strong and durable your planter box will never need to be painted or stained. The occasional rinse with a garden hose is all you need to do to keep your planter box looking great year after year. This product comes with a 20 year manufacturers warranty against yellowing, warping, cracking, and rotting. If you have any questions about this product by New England Arbors, contact us by completing and submitting the form below. If you are looking for a specif part number, please include it with your message.